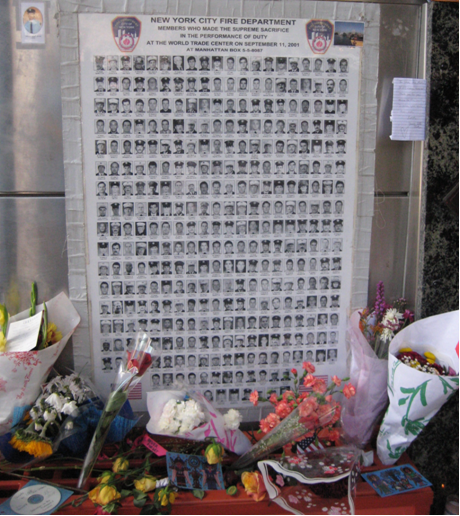 The FDNY Wall is a bas-relief memorial dedicated to the 343 firefighter who lost their lives on September, 11, 2001. 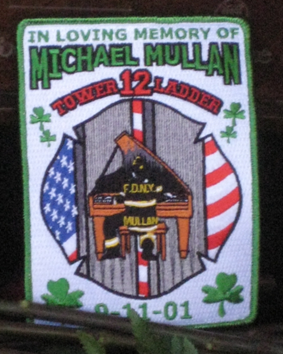 The Wall was designed by Rambusch Studios in close collaboration with the New York City Fire Department. The design returns to the image of the classical hero in the Roman Empire. The bas-relief is a design which reaches about 2.000 years back in tradition. Famous examples of this traditional design can be found in Rome as “great marble columns retell the battles of Emperor Trajan and the campaigns of Marcus Aurelius” [INT01]. 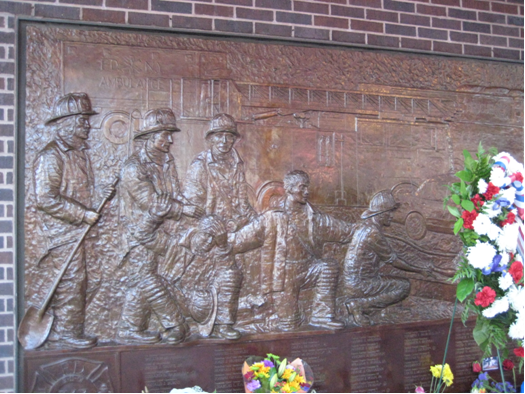 The 56-foot-long and six-foot-high bronze wall is bolted to the side of the firehouse which is known as ‘Ten House’ and located right across the World Trade Center Site. It was sponsored by the Holland & Knight Law company and its Charitable Foundation under the direction of Brian Starer. 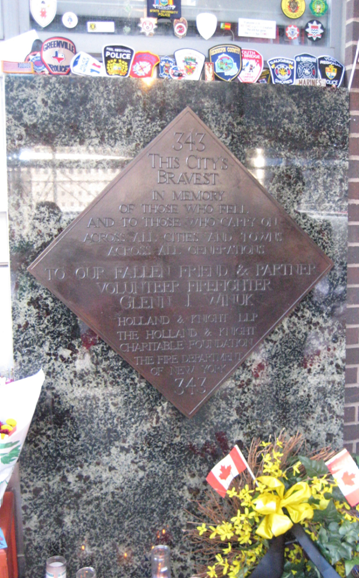 “Emblazoned across the face of the memorial are the words: ‘Dedicated to those who fell and to those who carry on. May we never forget’. The wall depicts the events of September 11, 2001. In the center, we see the two towers in flames; the second plane had just hit the South Tower. 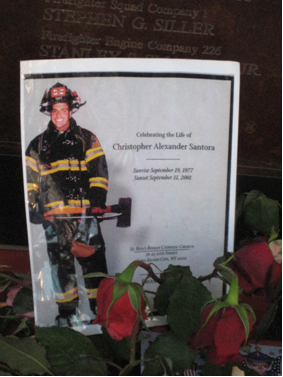 “On either side are scenes of firefighters laying down hose lines, firefighters washing their faces at a hydrant, a fireboat in the background, a weary firefighter reaching skyward. 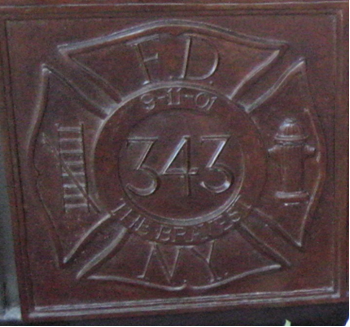 Beneath the scene are listed the names of the 343 firefighters” [INT02]. 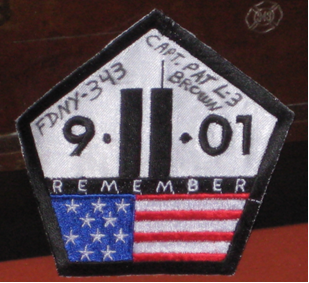 The opening ceremony was held on June 10, 2006 which was the fourth anniversary of the conclusion of recovery operations at Ground Zero. The wall is supposed to remind people of the heroes of 9/11 and that they will never be forgotten. 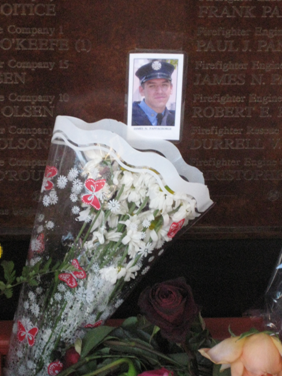 However, the wall also tells very personal stories as pictures, badges of firefighters, flowers and flags are put down at the wall by family members, friends and colleagues. 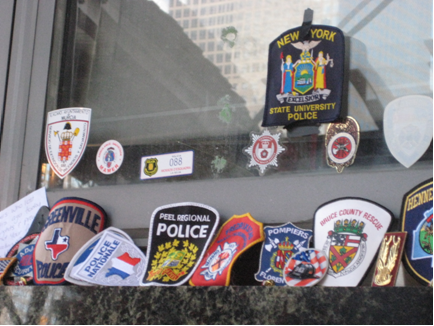 The FDNY Wall is an important memorial in the remembrance of 9/11. 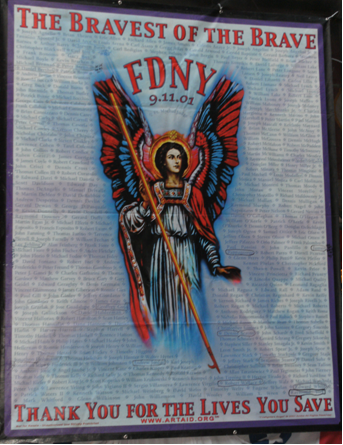 Like many other memorials the FDNY Wall concentrates on the heroism and comradeship during the attacks. For the many firefighters and families it is a place to remember and mourn the ones lost but it is also a place of hope and pride – pride for those who risked their life to save others. [INT02] Driver, Martha M. “FDNY Memorial Wall Story.” FDNY Ten House. Web. 29 Jan. 2011. 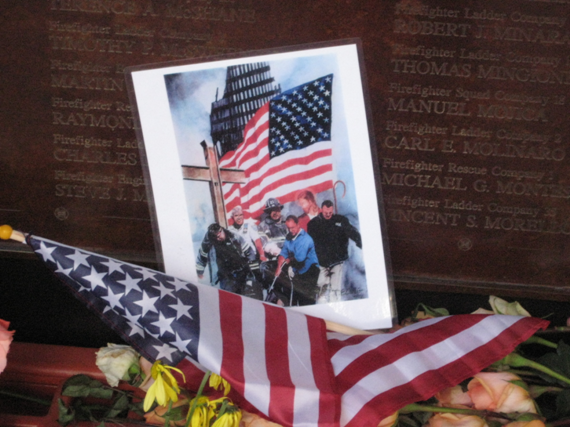 [INT03] “Holland & Knight Dedicates 9-11 Memorial Wall.” Holland & Knight Charitable Foundation, Inc. Web. 29 Jan. 2011.